Scott Sweetow, head of the Atlanta ATF Division, is moving on to the Midwest to head up the St. Paul Division, which includes Minnesota, Wisconsin, North Dakota and South Dakota. Sweetow, who began his career with ATF in 1990 in Los Angeles, spent several years assigned in the Arson and Explosives group, and served as a Certified Explosives Specialist. His duties included being part of ATF’s elite National Response Team, which investigated such high-profile crimes as the Oklahoma City bombing and the Centennial Olympic Park bombings. He also spent several years working criminal intelligence matters, including a weapons case targeting the “The Blind Sheikh” Omar Abdel-Rahman’s one time driver and bodyguard, Hikmat Alharahshah. Specifically, in 1999, Sweetow became a supervisory special agent in the Phoenix Field Division, serving in operations and as violent crime enforcement group supervisor. In 2003, he went to ATF headquarters where he served in the Policy Development and Evaluation branch, eventually becoming its chief. In July of that year, he became the first ATF agent to “deploy operationally to Iraq”, assisting the Defense Intelligence Agency as part of the Iraq Survey Group. In 2004, Sweetow was promoted to a deputy division chief and later chief in the Arson, Explosives and International Training Division in ATF’s Training and Professional Development directorate. He remained there until December 2006. While division chief, Sweetow was instrumental in establishing ATF’s $50 million National Center for Explosives Training and Research at Redstone Arsenal in Huntsville, Alabama. 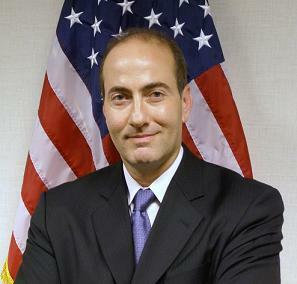 In January 2007, Sweetow became an Assistant Special Agent in Charge in the Atlanta Field Division and later went on to become the SAC in Atlanta. He has a bachelor’s degree in Russian and Soviet Area Studies and a masters in Strategic Intelligence. He is a graduate of Harvard University’s Senior Executives in National and International Security program and the FBI’s Law Enforcement Executive Development Seminar. In 2009, Scott he published an article in “Homeland Security Today” entitled “After Mumbai: Facing the Flames” which dealt with the use of fire as an asymmetric warfare tool by terrorists. Posted: 1/8/13 at 12:28 AM under FBI, Milestone, News Story.